The primary goal of the Orientation Leaders is to introduce and create a smooth transition for new Seahawks to UNCW with great enthusiasm and spirit. We convey essential information about UNCW and ensure that the Orientation Program is beneficial, exciting, and educational in its content and presentation. 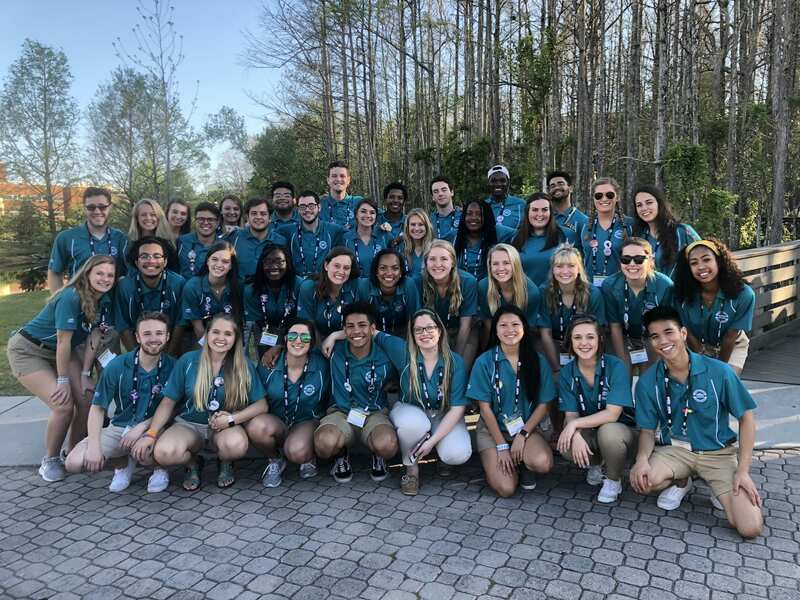 Every year, the Orientation Leaders have the opportunity to attend the Southern Regional Orientation Workshop along with other schools across the Southeast. At the conference, we attend educational sessions that allow us to learn important skills and tips that we can utilize in order to create the best orientation experience for our new Seahawks. With your help, we will be able to live out this dream! We are more than excited to grow as individuals, professionals, and leaders. By attending SROW, we will be able to show our pride for The Dub, participate in a large-scale community service project, and create connections and networking opportunities with students and staff from other universities by sharing our experience and knowledge of UNCW. This year's SROW is being hosted at Coastal Carolina University (the other teal school) in Conway, South Carolina. Every donation is greatly appreciated. They will be used to help with the costs of the conference fees, travel and lodging that the Orientation Leader team will need on their trip. Every donation will help us reach our goal. No amount is too big or too small! From every Orientation Leader, we thank you so much for your support! You will receive a shout out on social media. You will receive an OL Supporter button. You will receive a handwritten card from the orientation team. You will receive a handwritten thank you card along with an OL Supporter button. You will receive a special video from the OLs thanking you for your donation! We will make you a custom orientation small group sign with your own personalized group name, signed by the entire orientation team along with a thank you video.